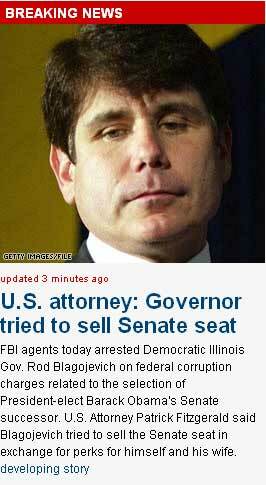 An unsigned CNN.com article on Tuesday which broke the news that Illinois Governor Rod Blagojevich had been arrested by federal authorities omitted his Democratic party affiliation. Both Blagojevich and his chief of staff John Harris face conspiracy and bribery charges related to the appointment of Barack Obama’s successor to his Senate seat. 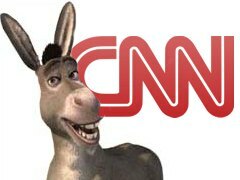 Update (Ken Shepherd | 13:05 EST): CNN.com now reporting the Democratic affiliation of the Illinois governor in the teaser blurb on its front page (see screencap below).